If you have a powerful need for bigger EQ2 bags, there are now three ways to get them, two if you didn’t attend SOE Live this year. 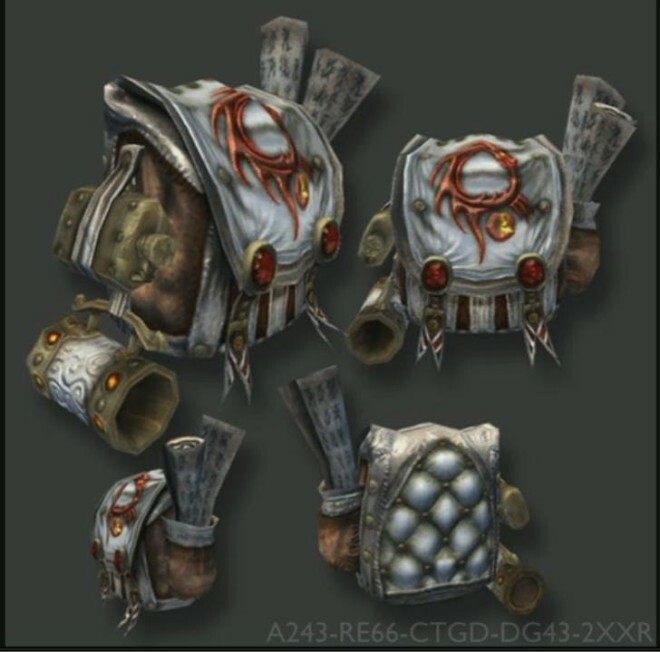 [eq2u]Rallic Pack[/eq2u] (64 slot) — This bag requires a [eq2u]rallic pack pattern[/eq2u] which is a random drop from a Grimling Runner while working on the “Grim Running” tradeskill mission offered on Tuesdays in the Tranquil Sea. Naylie’s Nebulous Newsbag (66 slot) — Granted for completing the Guide-offered quest “Nebulous Newsies“. You must pickup this quest from a Guide (a volunteer player) somewhere in Norrath. Watch public channels including “Antonia_Bayle.Homeshow” and your local chat channels for sightings of this quest giver. Don’t stop there Feldon. What are you suggesting for the 4 other slots? 52 slot loyalty token bags. It’s not noted in the linked guide, but for the Rallic Pack: if you don’t get the pattern when you zap/loot the runner, you can drop the quest and try again, over and over until you do get it. Don’t need to wait a week for another chance. My fear is, they’ll nerf it. Now that you posted it here they will nerf that. I did the Nebulous Newsies quest a week or so ago, and not only do you get the fantastic bag, you also get a cool 5 million personal status points, which gave us about 90% of a guild level – very nice surprise! I can’t see past events at that link – and no upcoming ButcherBlock events…. But on the forums they said there was a ButcherBlock event today at “1300 hours” – which for me is 1pm. But no clue what time of the guide. Hopefully the bag event will happen again on Butcherblock – I know it has happened at least once. They did this every time during our raid hours. I cant drop raid to go run and get a bag, they need to do this event during the day before prime time. Yeah this page is just for upcoming events, not to archive all the previous events. I’ve only recently discovered it, not sure how long its been around, certainly a big improvement over the previous forum thread I had bookmarked for guide events in years gone by as it is updated fairly frequently as far as I can tell, so if you like Guide Events check it daily to see if anything has been added. I notice there is the Neon Lights quest coming up on Butcherblock tomorrow (Tuesday). I’m sure the bag event will happen again unless there is a reason SOE don’t want it to. I’ve caught it twice on Everfrost so far in the few days that I was looking for it, so just keep your eyes peeled. Also, people have been known to put in requests in the forums or directly to the guides themselves for older guide events they have missed and haven’t seen come up for awhile – such as the very popular Axe And Ye Shall Receive guide event, and the guides are often happy to add it into their upcoming schedule. I just put in a request for the Newsie quest (hopefully in the evenings). I did see the event for BB on the calendar – I can’t do it since it’s during my work hours. But nice that they are doing BB events again – I think we went a long time without a guide. They still need to include a timezone – otherwise, it’s a crapshoot to guess which exact time the event will happen. Guide events are always listed on Pacific time on the official forums and on the guide events website. The way the time is displayed on the upcoming events page is confusing. If it says 10am (-8 hrs PST) what does that mean? -8 hrs PST is from GMT. Like EST is -5 hrs from GMT. The time listed is PST, though, since that’s where Sony is based. The offset is to allow for people in other time zones around the world have a reference. The Nebulous Newsies was running last night on Oasis. Wife and I were going to do it, but it was in Obol Plains, which appears to be a lvl 90 zone. As we are in our 50s, it was sad to see wouldn’t be able to participate. Yeah, you need AoM and ideally 95+ to finish Nebulous Newsies. In fact you have to travel to Phantom Sea to kill some things, and whilst I’m not 100% sure I believe you can’t even zone to Phantom Sea unless you’ve made a certain amount of progress in the AoM signature quest. I’d be surprised if it was a one-time event that won’t ever be run again. You can zone into phantom without doing any of the quest line, I’ve done it a couple times on a healer to help friends run solo zones. Ah good to hear, I’d not tried but thought I saw it mentioned in chat that you couldn’t, thanks for the clarification. If you can get to Obol Plains (and if you don’t have a direct means, see if someone will let you Call of Veteran to them), then I’d recommend getting the quest, regardless of level. You can complete it anytime, now or in 2 years. On most servers, you end up seeing people bringing characters of all levels (I love seeing the lvl 1’s) just to get the quest, regardless of when they intend to finish it. All of my toons have it, so will get around to it eventually. Also, there is a collection reward that gives you a house item that allows you to teleport to Obol Plains, just outside the city. It can also be placed in a Guild Hall, so if you are in a guild, you might want to check if they have one already. I knew there had to be a reason for the grimmling runner! I remember him from the original everquest. you can pick up the Nebulous Newsies quest at any level. But to complete it you have to kill high level mobs, 100+ if I remember correctly. Pretty long quest and lots of running around but definitely worth it.